1. Click on the Library button. 2. 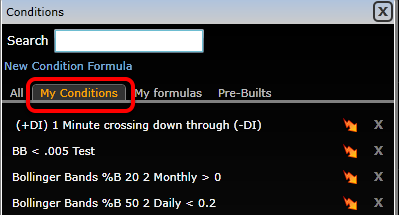 Select Conditions in the drop down. 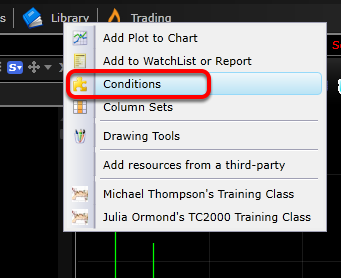 Any conditions created by clicking on an indicator and selecting Create Scan Condition will be in My Conditions. 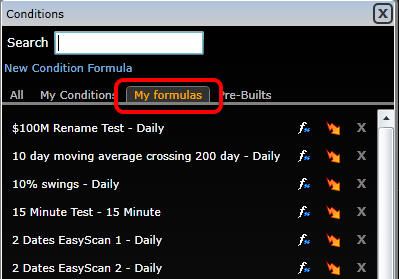 Any conditions created by using Condition (PCF) Formulas will be located under My formulas.